Boatshed London are delighted to offer this 45ft Wide Beam for sale with residential mooring in Limehouse Basin, E14. This well proportioned boat was built in 2012 and would make an ideal home for an individual or couple. The shorter wide beams are always popular as first boats because they are easy to handle but with the additional living space that a wider boat provides. Entering from the stern is an open plan living area and galley with sofa bed. The current owners also have a foldout desk that enables them to use the boat as an office in the day. The galley has solid wood worktops and gas cooker. The bathroom is a good size, stylishly fitted out with an electric heads, shower and large basin. The cabin towards the bow has a full sized double bed with plenty of hanging storage as well as storage under the bed. The boat was blacked in August 2017 and has a new BSS until 2023. The residential mooring at Limehouse is fully transferable to the new owner (5% transfer fee of the sale price). Council Tax, laundry, pump out is all included in the price. Current mooring fees are £10,380 per annum paid upfront, £11,200 paid monthly. 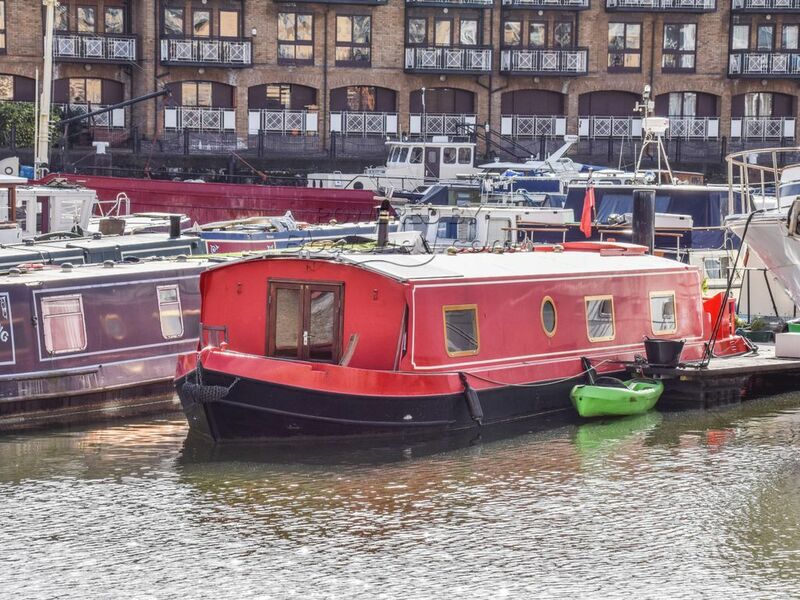 With its excellent transport links, Limehouse is London's most desirable residential marina and viewing is highly recommended on this great houseboat. This Wide Beam 45ft With London Mooring has been personally photographed and viewed by Angus Rose of Boatshed London. Click here for contact details.